See artwork created by female artists working in Hawai‘i in the early half of the 20th century. 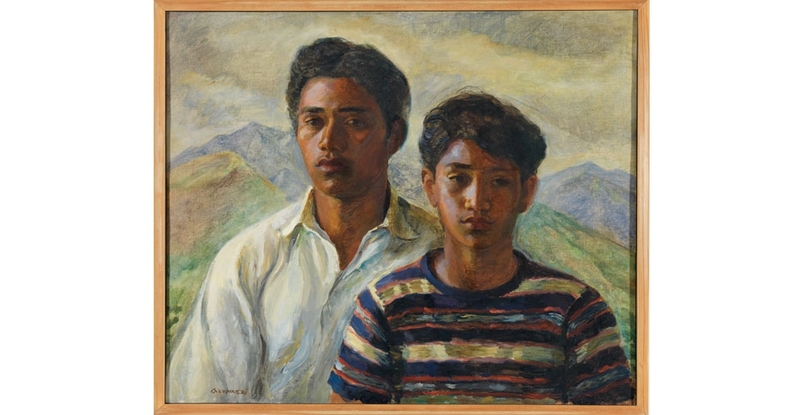 The show includes artists who were longtime residents as well as visitors to the islands, all of whom found rich artistic content in their surroundings, and were compelled to interpret their experience in Hawai‘i through their work. Genevieve Springston Lynch, Madge Tennent, and Lillie Gaye Torrey among others were instrumental figures in Honolulu’s burgeoning art scene. Their work proved a departure from what were commonly accepted artistic parameters for females through their choice of subject matter, media, style, or scale. The exhibition also highlights designs by female artists whose creative output made their way into Japanese textiles and American glassware production. Together, the selected artists exemplify how conceptions of Hawai‘i’s people and natural environment circulated across the Pacific.